Photonic therapy is an advanced form of acupuncture using light, instead of needles, to stimulate recognised acupuncture points. As a complementary medicine, Photonic Therapy offers a safe, painless and effective method of home health, which provides temporary relief from pain and promotes healing in people and animals. Photonic therapy involves the application of light to particular areas of the skin that has increased electrical conductivity. The light stimulates these areas to produce particular physiological results. To appreciate the impact of the therapy, a basic understanding of skin, acupuncture and light is required. Based on the research of Dr Brian McLaren, Photonic Therapy is able to explain in a rigorously scientific manner how photonic therapy works. Refer to ‘Photonic Therapy – A Simple Explanation’ and other professional documents available in the Advanced Photonic Therapy website library. Is Advanced Photonic Therapy painless? Yes. Photonic Therapy is non-invasive so the skin is not broken, as occurs with the use of an acupuncture needle in order to stimulate the specific areas of the skin. What conditions can be assisted by Photonic Therapy? A comprehensive list of the range of conditions that can be assisted by Photonic Therapy is available in the Photonic Therapy website library. Refer to ‘‘Conditions for Horses’, ‘Conditions for Dogs’, ‘Conditions for Birds’, ‘Conditions for Cattle’ and ‘Conditions for Alpaca’. Photonic Therapy should always be used post-diagnostically. It is supposed to be used on animals. But if a human would use it under supervision of their primary heath care taker, then there is a warning to people with Pancreatitis, or insulin dependent Type l diabetes. Photonic Therapy will improve the health of such a person by causing the pancreas to produce insulin. And if a person is taking medication to lower their blood-sugar level, they need to consider lowering their medication dose rate and/or eat more sweets or they could possibly suffer hypoglycaemia (an attack due to low blood sugar). How proven is Photonic Therapy? The methodologies used by Photonic Therapy are based on the research of Dr Brian McLaren. Dr McLaren, who was a qualified human acupuncturist and Australia’s most highly qualified veterinary acupuncturist, professionally published his research in 1996. Since then, he has been diagnosing and treating people and their animals around the world until his passing in 2016. Refer to the Photonic Therapy webpage ‘About Us’ to learn more about Dr McLaren, and to the ressources to read his work. How soon before the animal feels better? Photonic Therapy allows a painless, non-invasive therapy to stimulate the body’s ability to heal. A modern, scientific application of acupuncture methods, the therapy works by stimulating the body’s defence mechanisms, and releasing the body’s own pain killers and anti-inflammatories, to encourage the maximum rate of healing. Virtually all physiological conditions of the body may be addressed. Photonic Therapy used before and after an operation reduces the time of wound healing, and decreases post-operative infection. Will one feel any immediate effects after applying the torch to the required points? Since the light stimulates physiological (that is hormonal) results within the body, this may cause different effects in different animals. The most common effect in some is a mild relaxed feeling that passes within half an hour (similar to relaxing in a hot bath). This sensation has no effect on driving vehicles or operating machinery. Will the Info Pack clearly tell me which points to apply the torch to? Each Info Pack, for Horse, Dog, Cat, Bird, Cattle or Alpaca clearly explains the location of each acupuncture point associated with addressing the particular condition, in both words and diagrams. Is there anyone I can talk to who can help me with questions I may have about Photonic Therapy? Refer to the ‘About Us’ section in the Advanced Photonic Therapy webpage for. The purchase of the new Advanced Photonic Pro Torch includes 2 free online consultation with a suitably qualified Photonic Therapy representative, vet, acupuncturist. If you have an original torch of ours, you can join us on Facebook at the “Photonic Therapy Chatroom” where you can post your questions. How long do I leave the torch on each point? Photonic Therapy stimulates the acupuncture points on both sides of the body per point for ten seconds on a horse or cow , 6 on a Alpaca, 4 on a dog. How often should I use the torch? Use the torch every 2 days for at least two to three weeks for a particular condition. For overall health maintenance, apply every two weeks. In acute conditions, such as a freshly sprained ankle, three or four daily sessions could be used without harm. If I increase the amount of therapy sessions for a particular condition, will my pet become better more quickly? In general, if the condition is acute then more than one session per day can assist. Generally if the condition is chronic then addressing the condition every 2 days for a number of weeks is more beneficial i.e. it is the repetition of sessions over a long period rather than many therapy sessions in a short time period that is important. 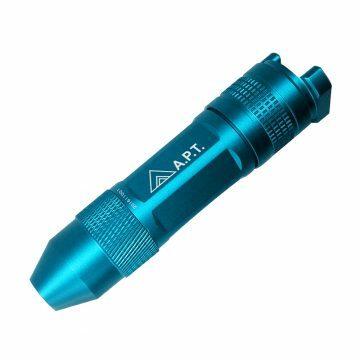 Do I need to apply pressure when placing the torch on a point? No, apply the tip of the torch directly against the skin (or fur of the animal) without pressing into the skin. Applying pressure will not improve the effect of the light on the acupuncture point or increase the stimulation of the point. What if I don’t locate the point properly? In acupuncture when using a needle, precision is important. However, acupuncture points are wide areas of skin (as wide as 10-25 millimetres). The light from the Photonic Therapy torches covers a wide area. Observe this by shining the torch on your hand when in a dark room. Applying the torch to the location of the point described in the instructions will achieve the desired benefit without the need for ‘needle-point’ accuracy. Stimulating an incorrect point will not cause harm, but simply register a nil effect. What should I clean the torch with? The torch has been designed to be cleaned in normal disinfectant solutions, hot, soapy water or with chemical wipes after each therapy session if required. Are there any demo's on the information on horses/dogs/cattle/birds/alpacas? Check our STORE for a FREE booklet. Where can I find scientific information on this system? Check the RESSOURCES on this website. Which Red Light should I choose ? Both torches can be used to torch locally and acupuncturepoints and in every type of situation. The Pocket Torch is smaller and easier to take with you where ever you go. Because of its size the battery is also very small and will therefor have to be recharged more often. The Pocket Torch is advised as a First Aid Torch and when it will not be used daily. It is also the best option if you would like to be torching with 2 torches at a time. The Pro Torch is advised for any vets, therapist and anybody who would use it daily. With its power of 500mW, it is also the Torch that will reach deep enough to shine the light on the aorta on the Horses back. The Pro torch has 3 Modes. What is included in your red light pack? What are the user instructions for the use of the red light? 1. Battery check: ensure the battery to be positioned in the correct way. Remove the sticker on the back of the battery. Fully load the battery before first use. 2. Power on: press the button switch at the tail when the torch is off, the torch turns on. 3. Power off: press the button switch at the tail when the torch is lit, the torch turns off. 4. Slightly click the button switch to change the modes. The red light have different Modes. Which Mode do I use for what? How do you change the modes on the red light? If the torch fails to function, send a mail to info@advancedphotonictherapy.com and post the torch to PO Box 205, 03100 Xixona, Spain. The torch will be repaired or replaced and depending on the fault. You will be contacted to discuss any repair costs. When does your next courses start? How much time do I have to complete the Online + Course? You will need to keep up with the Modules and send back the assessment. These assignments have to be returned before the start of the next Module. Delay in returning an assignment is only accepted once. You will have to do the tests and videos together with the other students. How much time do I have to complete the Certificate Course? Normally, when the course starts on January 15, you will have time to finish the Case Studies till January 14 of the following year. If you can’t finish up the Case Studies within the time frame, an extra month of time can be acquired (at a cost). This is limited to 3 extra months. During the Online Course, the student will have to complete the assignments with every Module. At the end of the Online Course, there is a written and oral test to take. The pass mark for this part of the test is 70%. The test can be repeated once. In order to complete and pass the Online Course, the student will provide a video of a correct assessment on the animal and a video of the correct location of the standard- and emergency points on the animal. For the Equine Certificate course, there is a 25 h Practical Course in person to be completed. During this Practical, several tests need to be taken in order to complete this course. The pass mark is 70% for the written, oral and manual test. In case of not passing, the Practical can be repeated (at a cost of 250 € (25 hours x 10 €) with the next group of students. After completing successfully the Online Course, and the Practical course (Equine Certificate Course) the student can start on the Case Studies. For the Small Animal Certificate Course: 7 Case studies of Canines, 2 Felines, and 1 Avian. At least 5 of the 10 Case Studies will deal with a chronic condition/ailment. At least 3 of the 10 Case Studies will be on other people’s animals.b. The first requirement is doing the assessment correctly. An incorrect assessment makes the rest of the Case Study automatically incorrect and will have to be redone.c. The student will make sure to have adequate liability insurance to do assessments on other people’s animals. We take no responsibility what so ever.d. If the student can’t finish up the 10 required Case Studies within the time frame, an extra month of time can be acquired (at a cost). This is limited to 3 extra months. If the student can not start this part of the course in the year of starting the Online course, the student can start the case studies with the next group of students. standard- and emergency points and the animal, to demonstrate that he/she is still up to date with the necessary knowledge to start with the Case Studies. Can I do the Online + course this year and the Case Studies next year? If you can not start this part of the course in the year of starting the Online + course, you can start the case studies with the next group of students. standard- and emergency points and the animal, to demonstrate that you are still up to date with the necessary knowledge to start with the Case Studies. This implies an extra cost of 100 €. What is your cancelation/refunds policy for the courses? A full refund can be requested up to 10 days after paying for access to the course. Any request for refunds passed 10 days will involve an administration fee of 15%. No tuition is refundable once the course has started or the course materials have been accessed. Do I need to own an APT Pro Torch? You do not have to own an APT Pro Torch when you start this course. You do need to have one and know how to use it by the time you do the practical part (Equine Course) and the Case Studies. How often do you organize these courses? At this moment I only organize them once a year as the Certificate course involves 12 months. English is not my mothertongue, can I still do this course? Most texts are in PDF format and can easily be translated by Google. And you can always contact me. As most of you know I speak English, French, German, Spanish and Dutch.